Forbes Magazine ranks Ohio Wesleyan University at No. 17 among ‘America’s Most Entrepreneurial Colleges 2015,’ making OWU first among Ohio-based schools. Seventeen of the top 20 ‘Most Entrepreneurial’ are independent liberal arts schools. 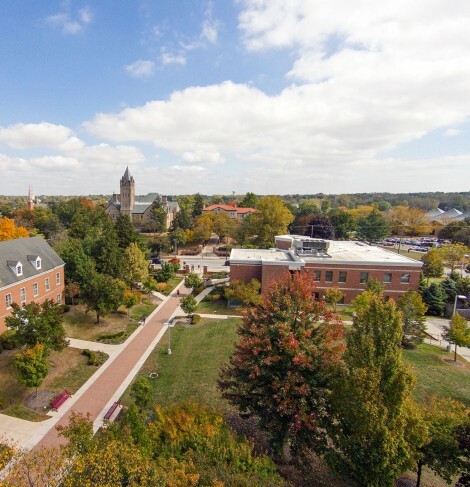 DELAWARE, Ohio – Forbes Magazine ranks Ohio Wesleyan University at No. 17 among “America’s Most Entrepreneurial Colleges 2015” on its new list of schools graduating high numbers of business founders and owners. Ohio Wesleyan’s No. 17 “Most Entrepreneurial Colleges” ranking makes it No. 1 among Ohio-based schools and No. 1 among schools in the Great Lakes Colleges Association, a consortium of 13 private liberal arts colleges located in Indiana, Michigan, Pennsylvania, and Ohio. Of the top 20 schools in the new ranking, Jones said, 17 are both independent liberal arts colleges and members of the national Annapolis Group, which provides students with a rigorous liberal arts education that teaches them to think clearly, analytically, creatively, and critically. “The dominance of Annapolis Group members among the nation’s ‘Most Entrepreneurial Colleges’ demonstrates powerfully the value of a liberal arts education,” Jones said. “Clearly, a liberal arts education provides students the path to hone the creativity, ingenuity, dedication, determination, persistence against the odds, and other characteristics necessary for entrepreneurial success,” he said. Ohio Wesleyan’s Department of Economics also supports future entrepreneurs with five majors: economics, finance economics, international business, management economics, and accounting. In addition, the university’s Woltemade Center for Economics, Business, and Entrepreneurship offers special programs, fellowships, and scholarships to help prepare OWU students for the working world. Along with its entrepreneurial rankings, Forbes also recently released its 2015 list of “America’s Top Colleges,” which ranks Ohio Wesleyan among the nation’s best overall, best private, and best Midwest colleges. The magazine also includes Ohio Wesleyan on its 2015 list of schools with “grateful grads,” an index that ranks colleges by the median amount of private donations per student over a 10-year period. Learn more about the Forbes Magazine list of “Most Entrepreneurial Colleges” at www.forbes.com/sites/liyanchen/2015/07/29/americas-most-entrepreneurial-colleges-2015. Learn more about Ohio Wesleyan’s Department of Economics and Woltemade Center at https://www.owu.edu/academics/departments-programs/department-of-economics/. Founded in 1842, Ohio Wesleyan University is one of the nation’s premier liberal arts universities. Located in Delaware, Ohio, the private university offers 86 undergraduate majors and competes in 23 NCAA Division III varsity sports. Ohio Wesleyan combines a challenging, internationally focused curriculum with off-campus learning and leadership opportunities to connect classroom theory with real-world experience. OWU’s 1,750 students represent 46 U.S. states and territories and 43 countries. Ohio Wesleyan is featured in the book “Colleges That Change Lives,” listed on the latest President’s Higher Education Community Service Honor Roll with Distinction, and included in the U.S. News & World Report and Princeton Review “best colleges” lists. Learn more at www.owu.edu.